The company GfK Ukraine, the market leader in market research in Ukraine, said that hypermarkets are becoming more popular in Central and Eastern Europe. However, their share in Ukraine amounts to only 8% - Ukrainians prefer to shop in supermarkets. Interesting, among the most important characteristics of shopping Europeans selected discounts and special offers, Ukrainians prefer proximity and low prices. This is evidenced by the results of investigations Shopping Monitor CEE 2012, conducted in October-November 2011 in 10 countries in Central and Eastern Europe. Most of the Europeans choose hypermarkets to make purchases of food and nonfood products: in Romania of 54%, in the Czech Republic - 44%, in Poland, Bosnia and Herzegovina, Hungary - just under half of respondents. In Ukraine, as well as in Serbia, the share of hypermarkets is only 8%. Supermarkets are popular in Ukraine, where 45% of respondents do the bulk of purchases of consumer goods. The same percentage of respondents select supermarkets in Bosnia and Herzegovina, in Slovenia this figure stood at 47%. Who buys the food and daily goods in bazaars? The number of respondents, who prefer unorganized trade by purchasing consumer goods in all the countries of Central and Eastern European countries, is insignificant, except Ukraine and Romania. Percentage of Ukrainians, who prefer markets, although it is rapidly declining in recent years (by 7 percentage points over the past 2 years), is still the largest in the region - 15%. Among Romanians these respondents are 8%. On the question, why respondent chose particular store, the majority of respondents in all countries, called the low prices, wide product range and of course, the availability of discounts and sales. Ukrainians are more than people from other countries of region appreciate the proximity of the store (about 70% chose this option), as well as low prices for some goods (about 24%). At the same time, much quieter is their relation to characteristics such as a wide range of products, discounts and sales, courteous staff, working hours and the ability to go shopping by car (lower or one of the lowest figures among the countries of the region). Only 11% of Ukrainians often go shopping by car, some more 12% use a car when planning major purchases. This is the lowest result among the countries of Central and Eastern Europe, where a car for making purchases using a total of 45% (Bulgaria) up to 68% (Bosnia and Herzegovina). In countries such as Romania, Czech Republic, Slovakia, Hungary, Poland and Slovenia at least 60% of respondents read flyers, which they get from retailers, from 11% (Poland) to 56% (Romania) respondents made purchase in accordance with these flyers. Half of Ukrainians do not receive promotional material retailers at all. Only 9% of respondents in Ukraine (the same figure in Bosnia and Herzegovina) receive materials, read them and make purchases in accordance with it. Retailers are less active in Serbia, where 69% of respondents did not receive materials at all, and just 3% receive, read and do purchase according to it. Shopping Monitor 2012 study conducted in October-November 2011 in ten countries of Central and Eastern Europe - Bulgaria, Bosnia and Herzegovina, Poland, Romania, Serbia, Slovakia, Slovenia, Hungary, Ukraine and the Czech Republic. 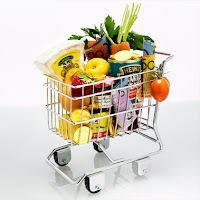 Respondent - a person who is responsible for daily purchases of food and nonfood consumer goods in the household. During the investigation of Shopping Monitor 2012 were interviewed from 649 (Poland) up to 1060 (Ukraine) respondents. The method of the inquiry is a personal interview at home of the respondent or a telephone interview.